It turns out that our new maintenance specialist Nathan is a fitness fanatic. This weekend Nathan will be competing in the gruelling Kokoda Challenge which is a 96km bushwalk through the Gold Coast Hinterland and has a time limit of 39 hours. When he first told us that he would be competing, we assumed he would be out for a leisurely stroll and use all 39 hours to finish but we couldn’t have been more wrong. 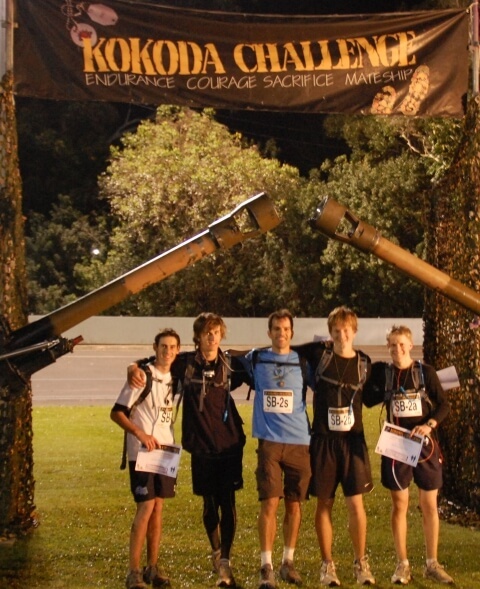 Nathan has completed the Kokoda Challenge 5 times, he holds the record for the Stan Bisset Cup (Schools Challenge), he has lead a school team through the event and most impressively his best time is a speedy 16 and a half hours! We wish Nathan the best of luck and will all be watching eagerly to see if he can walk at all on Monday! Oh and don’t worry we have a replacement for Nathan this weekend, phew lucky for Steve & Steve! That’s right we have two Steve’s on the team here at Elite.